CAS(E) this Sketch- Amazing You! Hello Friends, As soon as I saw this unique sketch over at CASE this Sketch I knew I had to try to squeeze in some time to play in my studio on Sunday, and I succeeded! I also got these incredible word dies from Verve called Amazing Adjectives that I wanted to break in so badly. The butterfly die is from Savvy, and the YOU is just a portion of a die from Neat and Tangled that I cut a apart. This card did not come together quietly as it had many variations of paper and accents before landing on this one. Hope you have a wonderful week! I personally will, as I am counting the days till I leave for Seattle. I am fortunate enough to be spending Mother’s Day with my son this year and I am over the top excited! I have never traveled by myself before, so wish me luck! 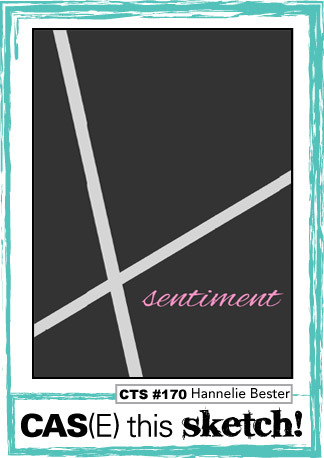 Categories: Cards | Tags: Card making, Cards, Congratulations, graduation, rubber stamps, Thinking of you, Verve Stamps | Permalink. Thrilled to see you play along with my sketch this week! This is a very different sketch and I can see why you wanted to play along. Love your take on it too. So much texture. Best wishes on your trip to see your son. It will be another memorable trip. A nice sketch but the way you used it is fantastic! I just love the card you made and love the awesome colors on the card too. That is a unique Sketch, I don’t think I could have pulled it off, but YOU did and perfectly charming too! 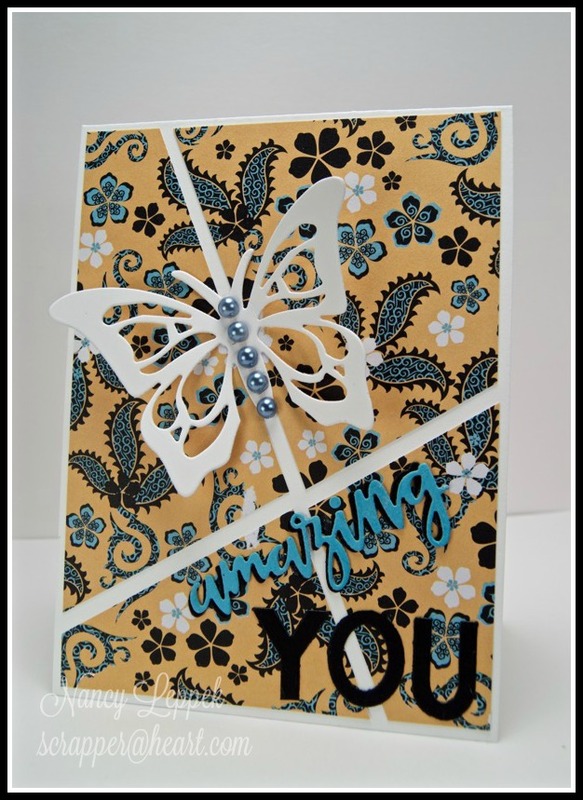 Love that big bold butterfly and your pretty Designer Paper too! Have a wonderful visit, you’ll feel like a grown-up going by yourself! 😉 Enjoy!!! This is one AMAZING! card!! I love the way you interpreted the design of this difficult sketch!! Beautiful pp and the way you lined up your butterfly is just perfect!! Wow I love how you have used the sketch for this card. I wouldn’t have known where to start.